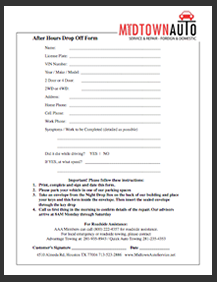 If you need to drop your car off after our normal business hours, please download and complete our After Hours Drop Off Form. 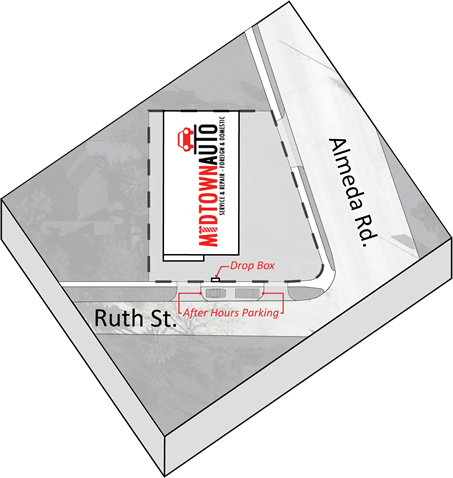 Once completed, slip it into our Night Drop Box with your keys. Thank You.